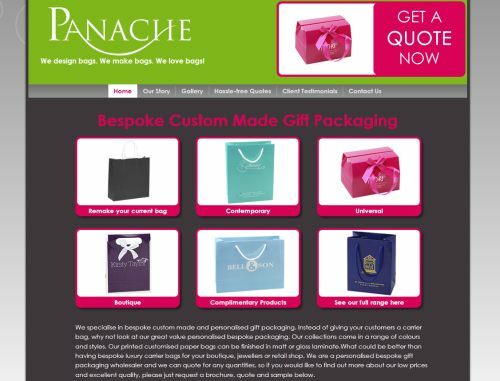 Panache Packaging provide bespoke boutique and retail bags and packaging throughout Northern Ireland. We’ve built a funky and contemporary website to promote the companies products and services including a great feature to allow customers to post back their existing bag to get a quote for replacement. A new accordion slider function has been used on the homepage to provide a dynamic and active feel.